High carbon steel, unsharpened handmade Iaito designed for heavy training use. This sword has the same weight and balance of your "battle ready" katana without the sharp edge. The 1045 high carbon blade is polished and designed to look just like its sharpened counterparts. The blade is full tang and secured with dual bamboo pegs. Your Iaito can be taken apart for care, display, or demonstration. The hardwood handle is using real ray skin and features a tight cord wrapping. All traditional parts have been used, including high quality steel tsuba and fittings, and brass collar and seppa. 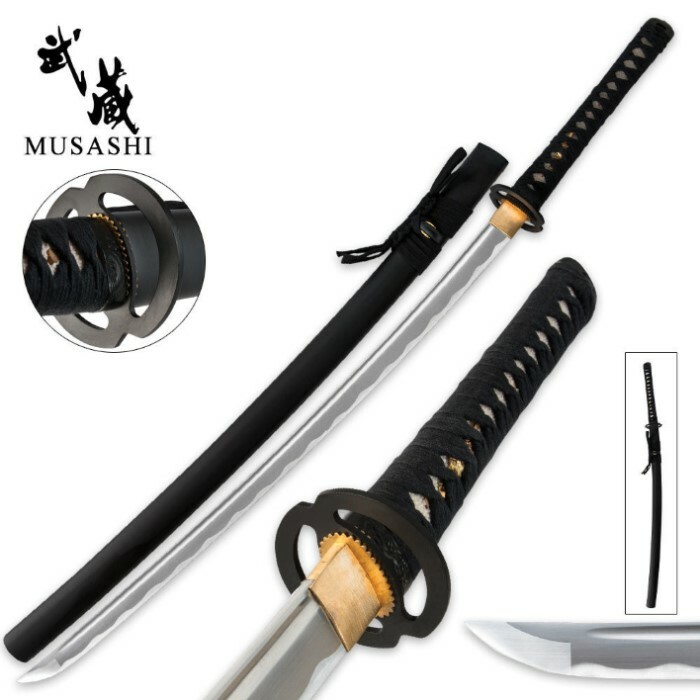 This sword is ideal for training and practice use, and is also suitable for plays, movies, and reenactment use where a sharpened blade would be too dangerous.